The followup to last year’s full-length How Will You Know If You Never Try marks another big leap forward in lyrical skill, songwriting, and production prowess. Produced by Butch Walker (Weezer, Carly Rae Jepsen, Fall Out Boy), each part of “Growing Pains” brings something new to the table. Guitar tones range from playfully menacing to quietly thoughtful while frontman Chase Lawrence’s vocals strike a myriad of poses. 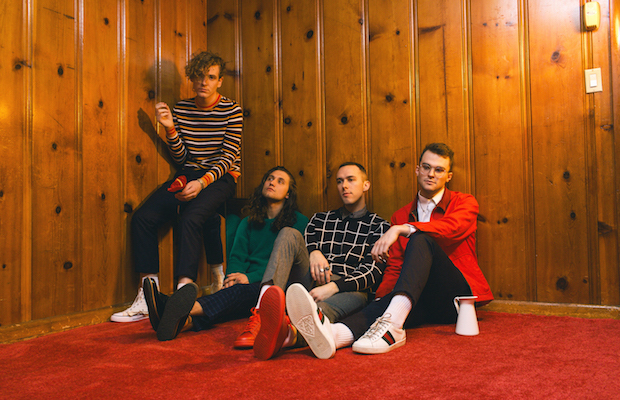 COIN originally formed while several members attended Belmont University. Chase Lawrence (vocals/keys), Joe Memmel (guitar/vocals), Ryan Winnen (drums) and Zach Dyke (bass) soon started selling out local clubs and gaining a reputation for a polished live show. Jay Joyce produced their self-titled debut in 2015, followed by opening slots for The 1975, Young The Giant and Passion Pit. 2017’s How Will You Know If You Never Try elevated the band’s pop/rock craft to the tune of more than 60 million Spotify streams. The Nashville quartet are currently on the road for a North American headline tour, though no Nashville date is listed at the moment. Their last hometown show at Cannery Ballroom in November 2017 sold out, and the guys played a high energy Bonnaroo set last year, as well as a nearby stop at Forecastle, so hopefully we’ll get a 2018 homecoming later this year. For now, listen to “Growing Pains” below.